Welcome to E-Till EPOS Systems Rental & Leasing Solution. Now you can Rent/Lease Till System From us which includes FREE Initial Programming & Set-up, FREE Installation, FREE Staff Training, and FREE Maintenance & Servicing (subject to Rental / Leasing Terms & Conditions). Our rental range comprises of Touch Screen Systems to basic stand-alone Cash Registers. 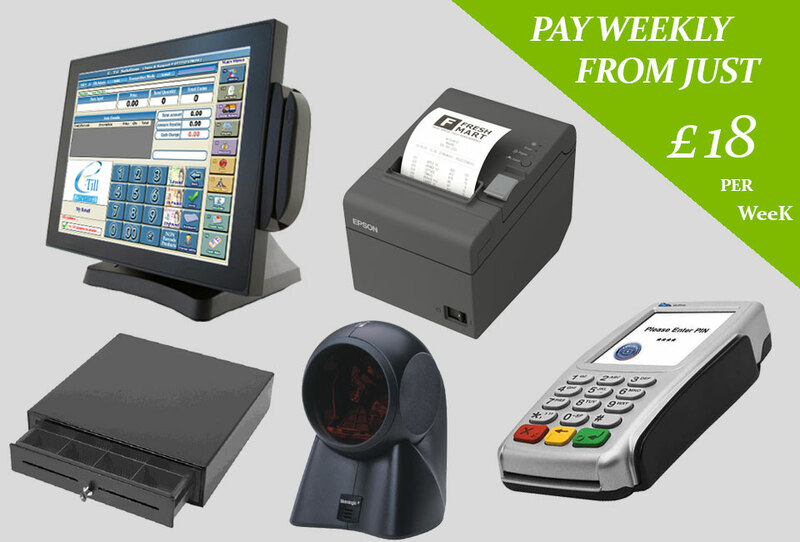 Peripheral items such as Receipt Printers, Barcode Scanners, and Cash Drawers etc are also available for rental. Complete systems can be rented from as little as £ 18.00 per week! If you would prefer the Lease-to-Buy option, you will own all of the equipment after the final leasing payment. Typically the leasing period will be 3 years although other options are available. When you enter into a leasing agreement your equipment will automatically be covered by our comprehensive. You can initially opt for 3 years cover or take advantage of our exclusive maintenance offers after the first year. We take care of all the necessary rental or leasing arrangements, so all you have to do is choose which products you require, select the duration then contact us on +44 (0) 207 503 7228.